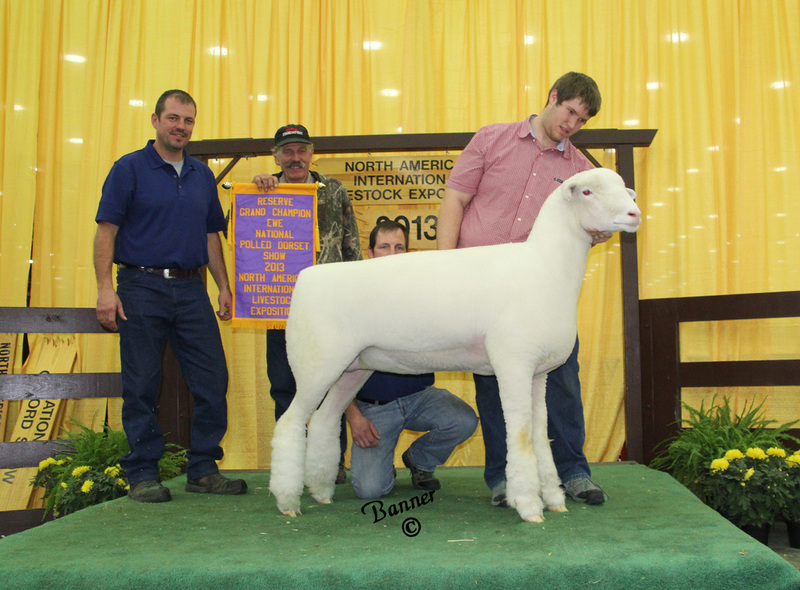 Home of the 2013 Reserve National Champion Ewe, "Miss Congeniality" Spilde 8737! We also added her full brother to our stud ram arsenal! Here at Pope Dorsets we are dedicated to raising modern, correct Polled Dorset sheep that are true to breed character, competitive in the show ring, and productive in the barn. We have put special emphasis on increasing the bone work and overall capacity of our sheep, while still maintaining the eye appeal that is crucial in the show ring! We pride ourselves in the knowledge that our sheep work just as well for our customers, as they do for us! Feel free to contact Michael with any questions about our flock or to schedule a farm tour! If you know Michael, then you already know that he loves to talk sheep! The farm is located just South of Greenfield, Indiana with convenient access to multiple interstates! We are approximately 20 minutes South of I-70, 20 minutes North of I-74, and 30 minutes East of I-465. Check out these successful sheep, both ours and our customers!